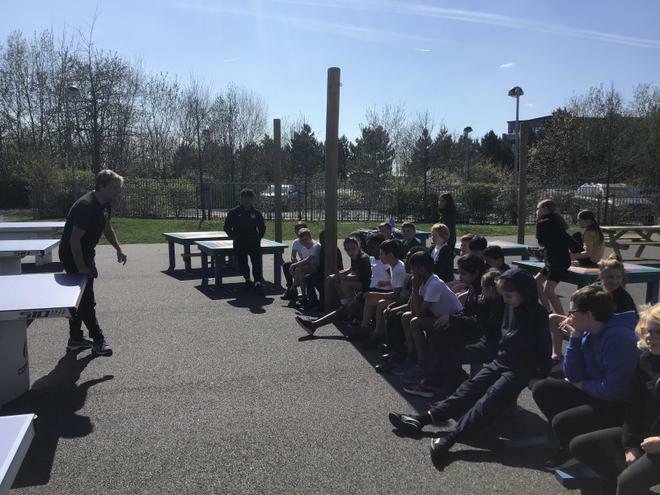 On Monday 1st April, Year 5 and 6 were extremely lucky to have Table Tennis coach, Stephen Bagley come in to school to show them how to play the sport. 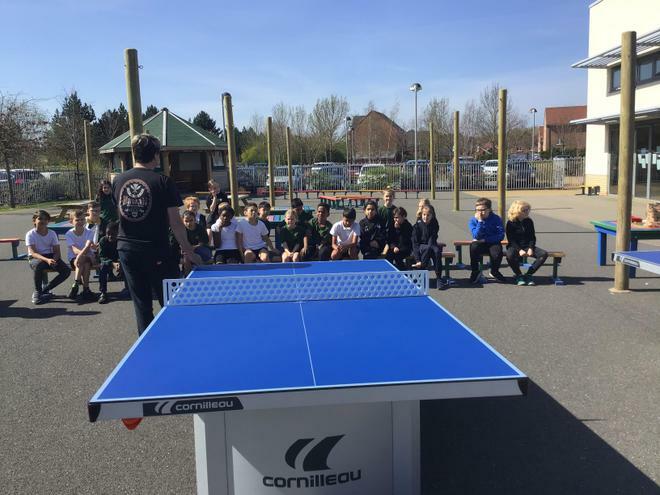 Middleton were able to purchase four new table tennis tables from funding from the Friends of Middleton earlier this year. 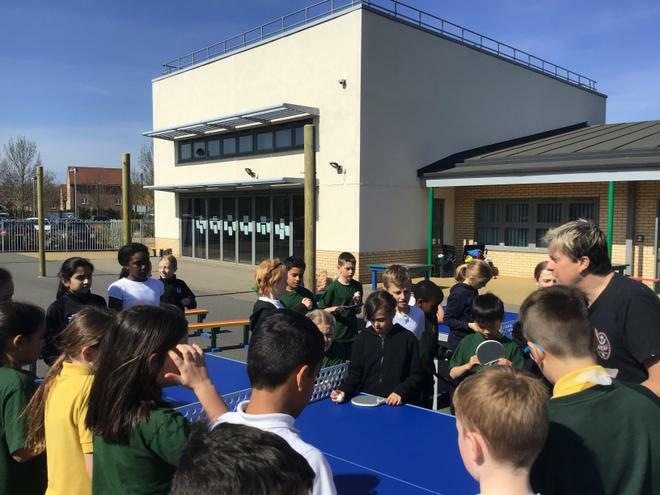 The children have enjoyed playing table tennis during their break and lunch times, especially in the recent sunshine. Stephen Bagley will be coming back to coach KS1 later on in the year.